Everyone came together in a fun and energetic event building a huge structure out of colourful wooden sticks, for Steli by Stalker Teatro. 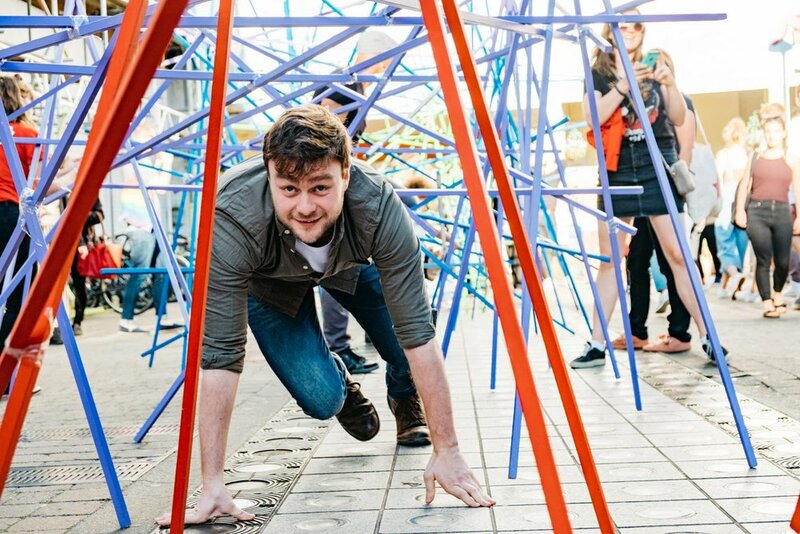 Steli was a stunning, interactive and vibrant piece, creating a bridge between contemporary art and performance, inviting everyone to take part. Once the hard work was done, both children and adults loved exploring their creation by walking under, around, and through it! Steli is the result of an educational and performative project called Reaction, created in collaboration with the Education Department of Castello di Rivoli- a contemporary art museum in Italy.